The Cumbres & Toltec Scenic Railroad is known for its extensive collection of rolling stock which can be viewed at both our Chama, New Mexico and Antonito, Colorado rail yards. 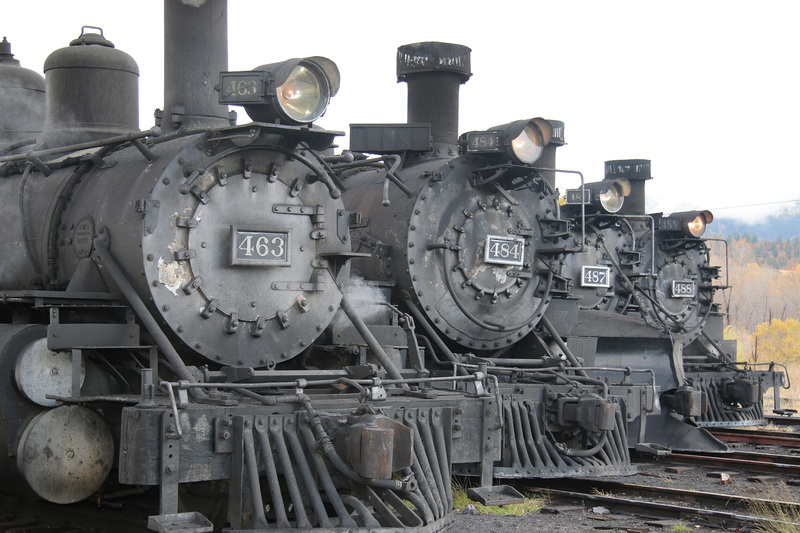 Check out our five operating coal fired, steam operated, narrow gauge locomotives – #484, 487, 488, 489, and 463. Locomotive #489 joined the line in 2008 after an extensive recondition. Locomotive #483 is on display at the Chama station but is not in operation. Locomotive #463 returned to operation in 2013. Walking tour brochures are available at our depots.